Yesterday in church a friend of mine brought the communion meditation. The point of what she shared is that waiting is OK – actually not just OK, waiting is right. We don’t have to step in and answer our own prayers or take action when we feel we are not hearing an answer from the Lord. We can trust Him knowing that His answer will be at just the right time and in just the right way. We are at another ‘wait’ sign in our negotiations for the home we hope to see Jacob and the girls living in very soon. The inspection today revealed a little water under the house and evidence of quite a bit of water under the house in the very recent past. This type of problem is generally something that the bank will want corrected before a loan can be extended. And, honestly, we need to see it corrected too. This investment is significant for us. We need the home to be in good condition before we enter into an agreement. So once again we wait. 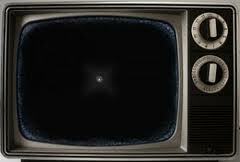 I remember as a child sitting in front of our old black and white television watching a dark blank screen waiting for the little white dot that I knew would grow into a picture. One time I waited and waited and waited. Mom finally came to check the television out. It turned out that there was no power – the television set was unplugged! I could wait there forever and no little white dot would appear. When we are waiting on the Lord there is no question of power. Our God is all-powerful, all-knowing, and always good. He knows the end from the beginning, He goes before us, and He is our rear-guard. Does that mean that everything I ask for or need will turn out exactly the way I think it should? Definitely not and I praise God for that. Sometimes God will provide for us in a way so different than what we think should happen that we can’t even imagine it. So Steve and I will wait and trust the Lord to provide in His timing and in His way! This entry was posted in Grief and tagged answers, God, hope, trust, waiting. Bookmark the permalink. Waiting to see what God has in store for you regarding provision of a home for Jacob and the girls. His timing is always just right. Bless you during the wait. Praying for you as you wait. Keep your grip loose. May God grant you peace as you wait, and a desire for God’s will and purpose above all.